Craft corners, yoga rooms and more: the idea of design as escapism is expanding. The first image that came to mind was probably a sandy beach, or an exotic location. It likely wasn’t your master bathroom or bedroom. That is slowly changing, says interior designer and author Nate Berkus. Berkus has made a career of transforming peoples’ living spaces into private oases. But as millennials join the ranks of homebuyers, with their obsessive interest in self-care, mindfulness and the internet, the idea of design as escapism is expanding. People are relying more on their home environments to boost their moods and overall sense of well-being. And in today’s heated climate, optimizing your home for happiness and creating a safe space to decompress and disconnect from work, politics and technology are not only valued but seemingly necessary. With minimalism in vogue and decluttering advocates such as Marie Kondo reaching Beyoncé-esque levels of recognition, the areas of home and wellness are becoming more integrally intertwined. People are shying away from clutter and excess by placing more weight on the long-term benefits of the objects they choose to keep and display in their homes. One way Berkus avoids this pitfall is by selecting furnishings that have “age and patina” and “evoke a sense of history, permanence and use.” For example, displaying treasured travel souvenirs or incorporating beloved vintage and antique furniture might fit the bill. “When you’re embarking on a renovation or redesign, ask yourself, ‘What choices can I make to promote a feeling of sanctity? ’ ” Berkus says. He also recommends incorporating “natural elements,” “timeworn finishes” and “architectural elements salvaged from old buildings” to add layers of depth and character. Many of his clients are devoting spaces in their homes to “wellness, tranquility and serenity.” His celebrity patrons, including his friend Oprah Winfrey, often request spaces for silence and reflection such as craft corners, reading nooks, and yoga, prayer and meditation rooms. Master bathrooms have also become a common place of respite, with trends toward personalization and spa-inspired amenities. 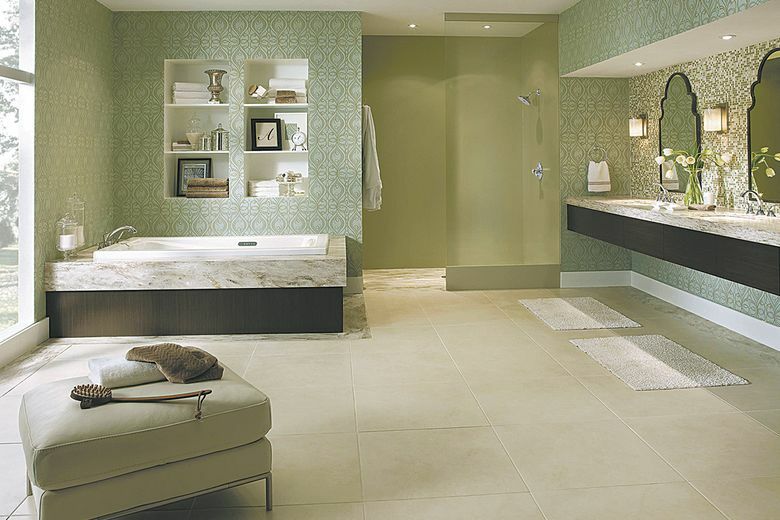 “Bathrooms have become even more sumptuous,” Berkus says. For homeowners on a budget, an easy way to carve out a slice of bathroom serenity is with candles, fresh flowers, relaxing music and recessed lighting. Berkus also notes a growing trend toward upholstered bathroom furniture such as small, quilted chaises and tufted settees next to the bathtub, to add another tier of warmth and relaxation. Visual social networks such as Instagram and Pinterest can help homeowners curate their interests, hone their design aesthetic and create a home environment that reflects their personality and tastes, Berkus says. The flip side of these websites is that no one really understands what design features cost. “Clients will say, ‘We really love this marble bathtub carved out of a solid block of marble.’ And I tell them: ‘I love that as well. Are you aware that it is the same price as an Acura? ’ ” he says with a laugh. Your best shot at creating a home that feels “safe, warm and protected,” Berkus says, is to do your homework and figure out what design style best suits you before pulling out your credit card.